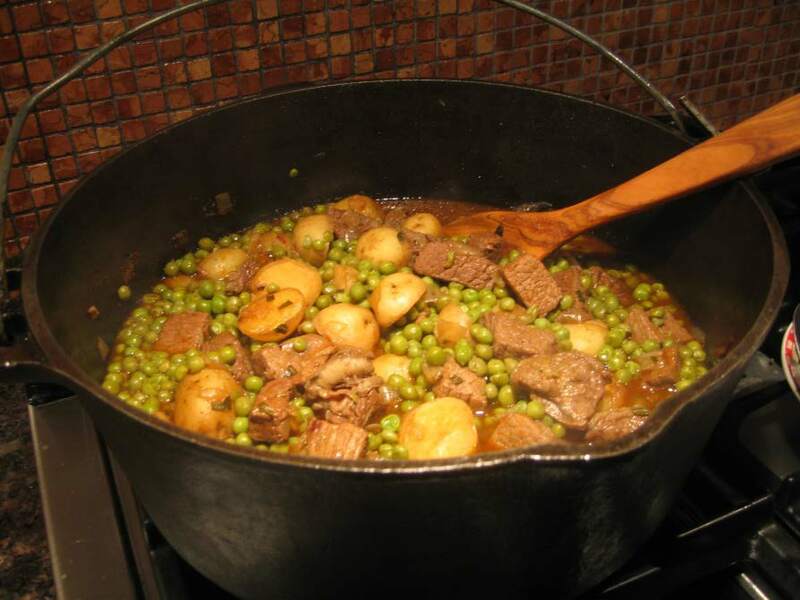 My mother used to make this and her original recipe also called for beef lung – no longer permitted by Dept. of Agriculture. I added the cubed beef to make up the difference. I never saw this on a restaurant menu. 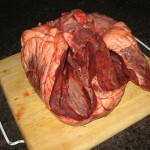 Preparation: Season liver, brown in oil and set aside. 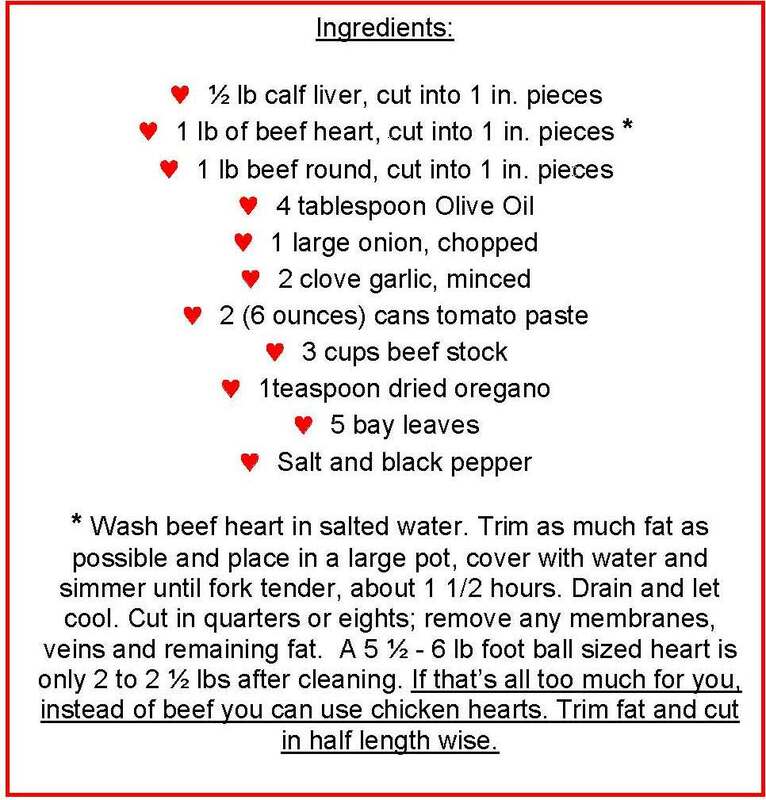 Season heart/beef , brown in batches and set aside. Remove any liquid so meat browns and doesn’t steam. Don’t overcook. In the same pot, add more oil, sauté onion and garlic until soft. Add tomato paste and caramelize. 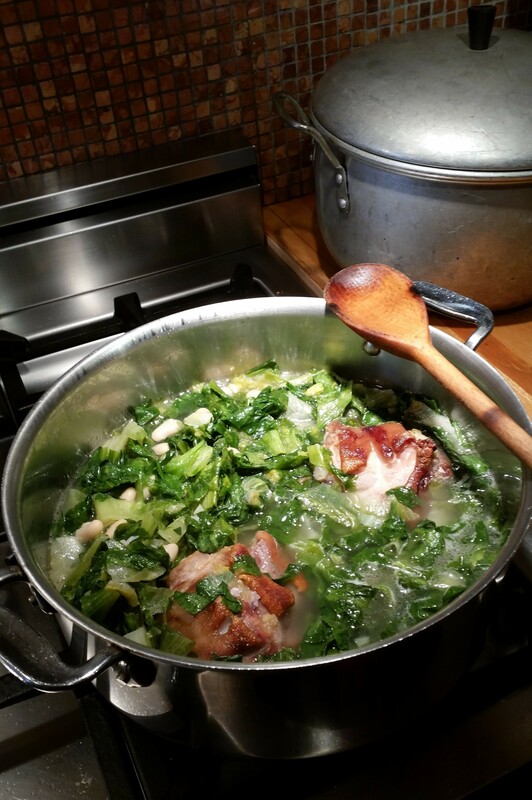 Add stock, deglaze and stir well and add bay leaf. Return meat, mix with onion and add oregano. Simmer covered for 1/2 hour, adding more liquid if needed. Taste for seasoning. 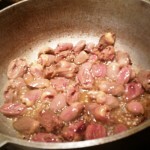 Add the browned calf liver at the end. 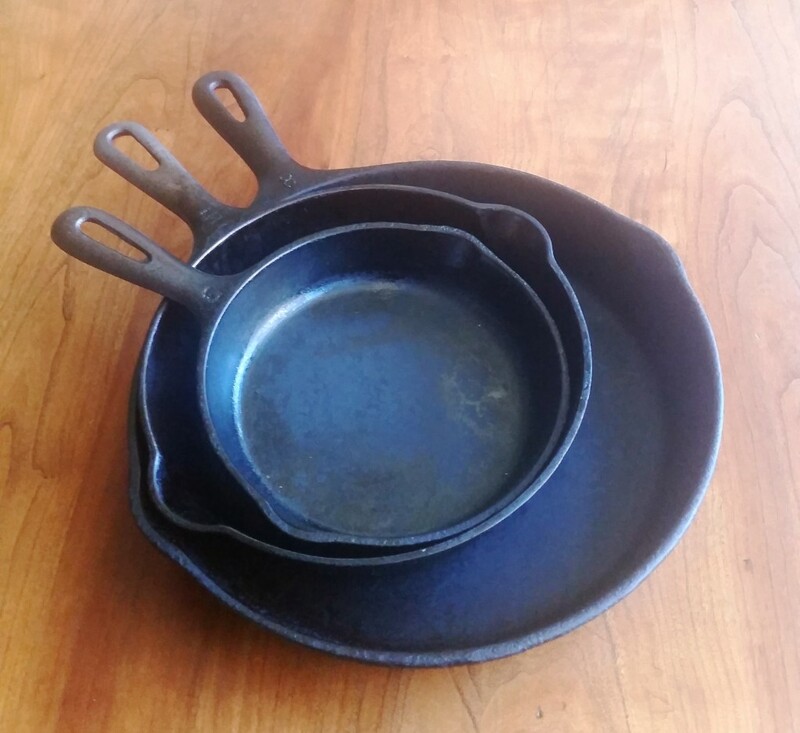 Cast iron is one of the oldest and best materials for cooking. 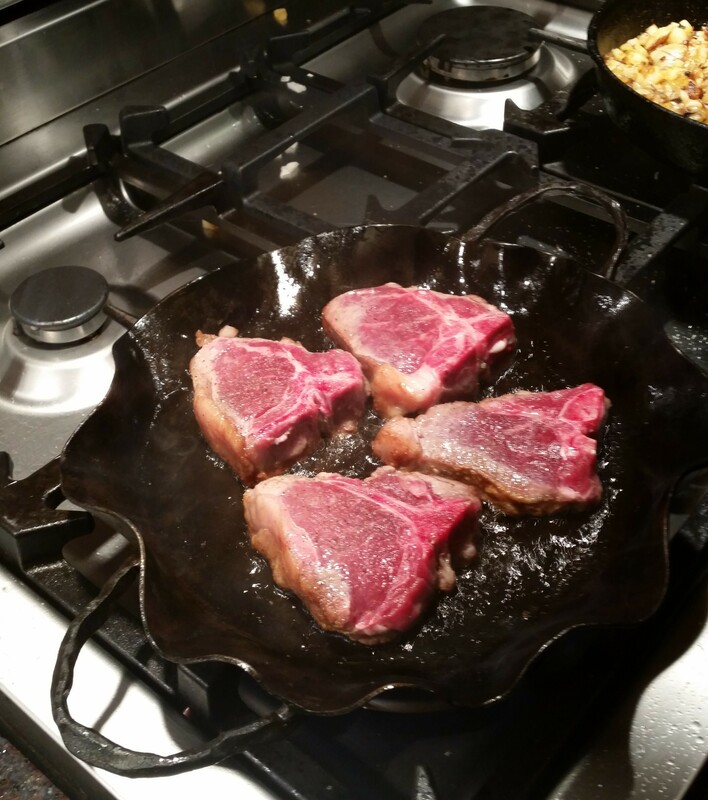 If seasoned properly it’s as non-stick as any of the modern coated pans. 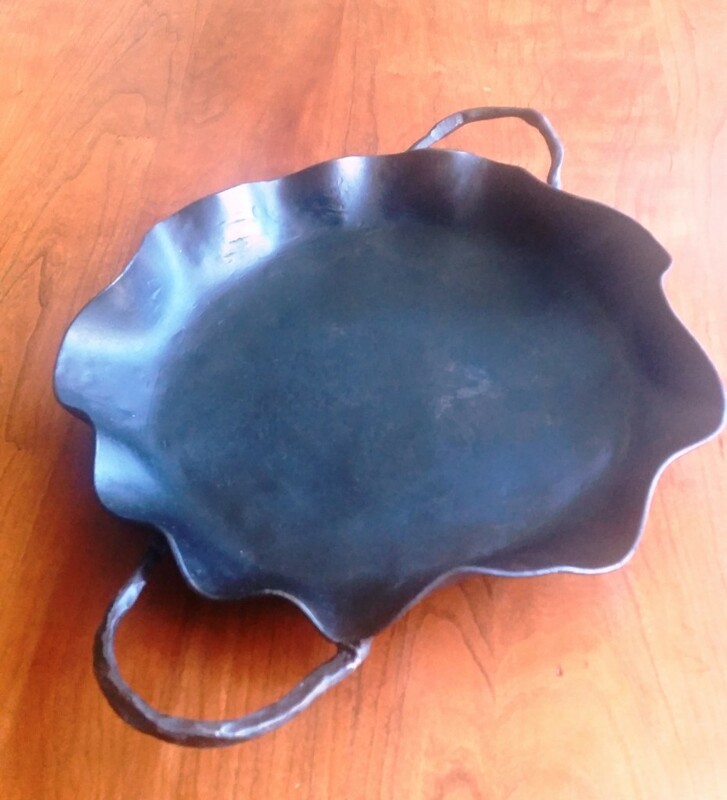 It holds heat well and spreads it evenly and can be used both on the stove or in the oven. If you get a new one that’s not pre-seasoned, it’s simple enough to season it yourself. Pre-heat your oven to 350 degrees. Coat the cooking surface of the pan with a thin layer of Crisco and put it in the oven, upside down, for 1 hour. Put a foil covered baking sheet under it to catch any drippings. Let it cool in the oven for about another hour and it’s done. If it’s sticky, heat it for another ½ hour. If it’s not an even coat, do the whole process again. Sound like a lot of work? Don’t worry because you’ll only have to do it once. To clean it after use you usually have to just wipe it with a wet sponge (no soap) and if anything sticks, simply fill it with hot water and let it soak for a while then clean it with a brush, never steel wool. Dry it and it’s ready for its next use. 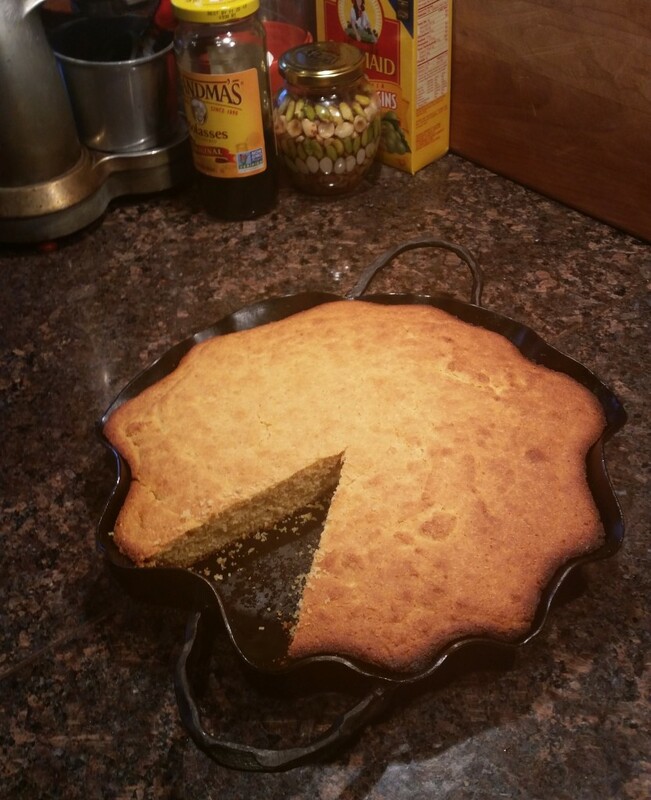 One last cast iron utensil… I got it at a flea market for $20. 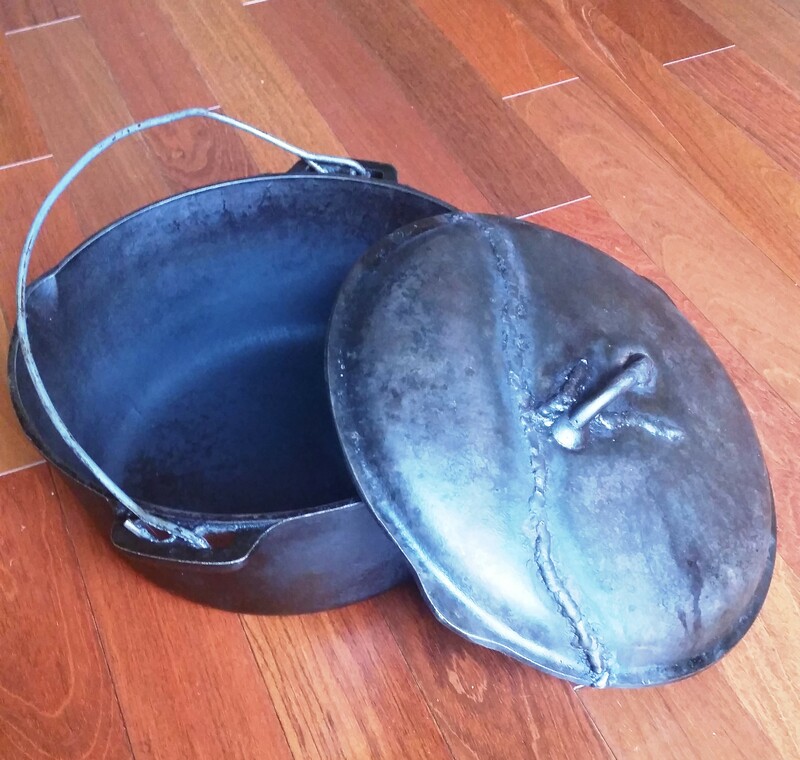 A Dutch oven old enough to probably have been used in a fire place. Not very pretty and extremely heavy, it’s still the greatest for stews. On a cold winter night nothing warms you up like a bowl of minestra. It’s hearty, delicious and easy to prepare. My Mother served soup at every meal. This minestra was and still is one of my favorites. Clean the escarole in cold water and cut into ½” strips. Set aside. 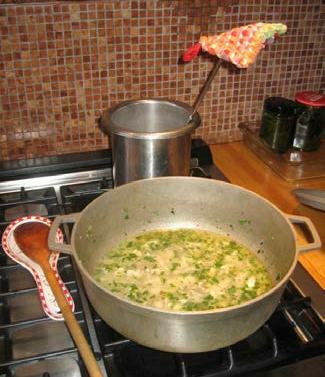 Heat the olive oil in a 3 quart pot add the garlic cloves and remove them when they are brown and soft. Add the ham hocks to brown. Add water to cover the hocks and bring to a boil. 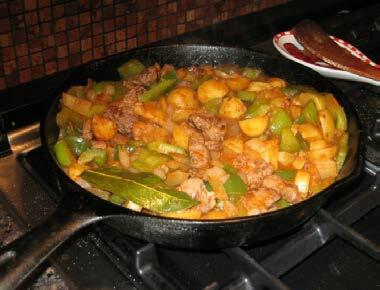 Lower the heat and simmer for about a half hour to forty-five minutes. Add the escarole and cook until softened about 15 minutes. Then add the rinsed cannellini beans and pasta. Cook until the pasta is done – about 10 minutes. Zuppa is a broth which never includes pasta and usually has a slice of bread or biscotti in it. 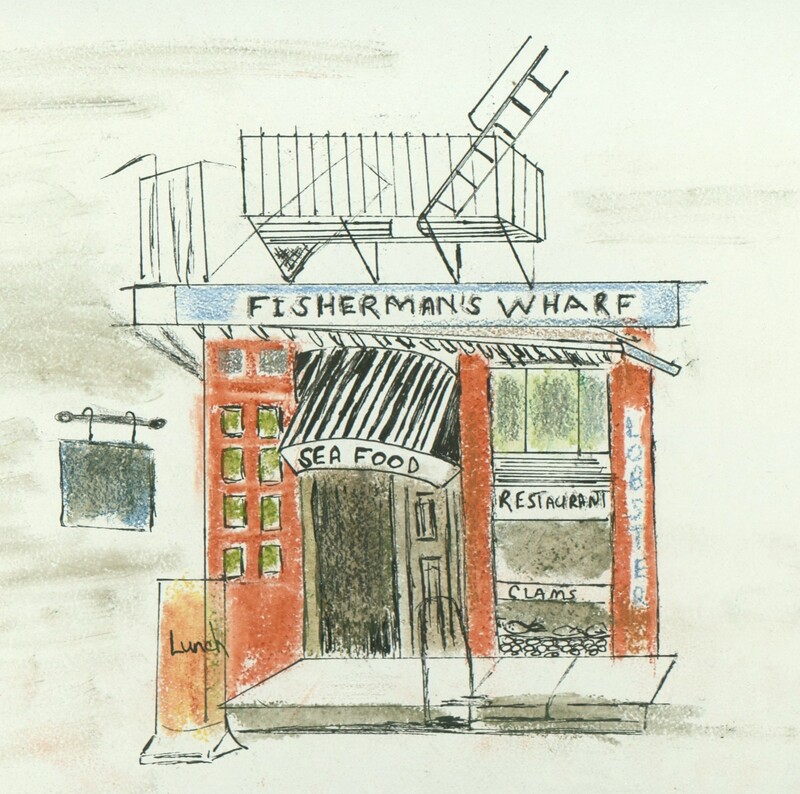 An example of this follows as Merlutze en Brode, a recipe from a restaurant, The Fisherman’s Wharf, that our family had in the 1950s. 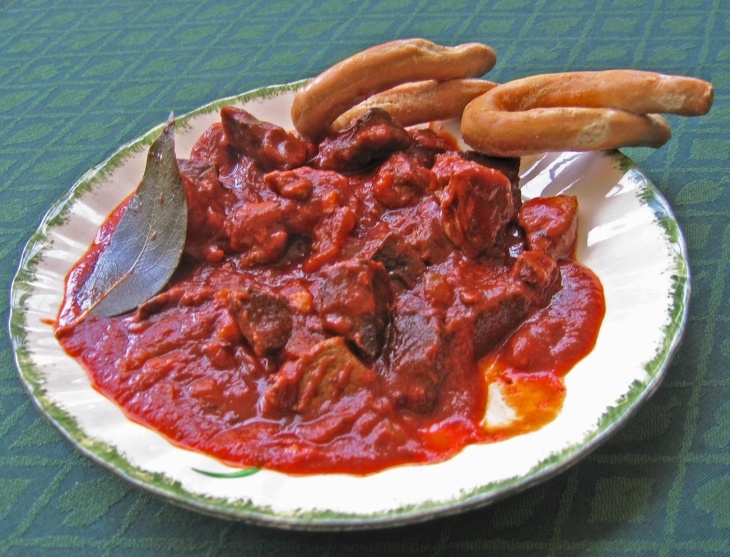 This style of preparation goes back to a time before tomatoes were common in Italian cuisine. 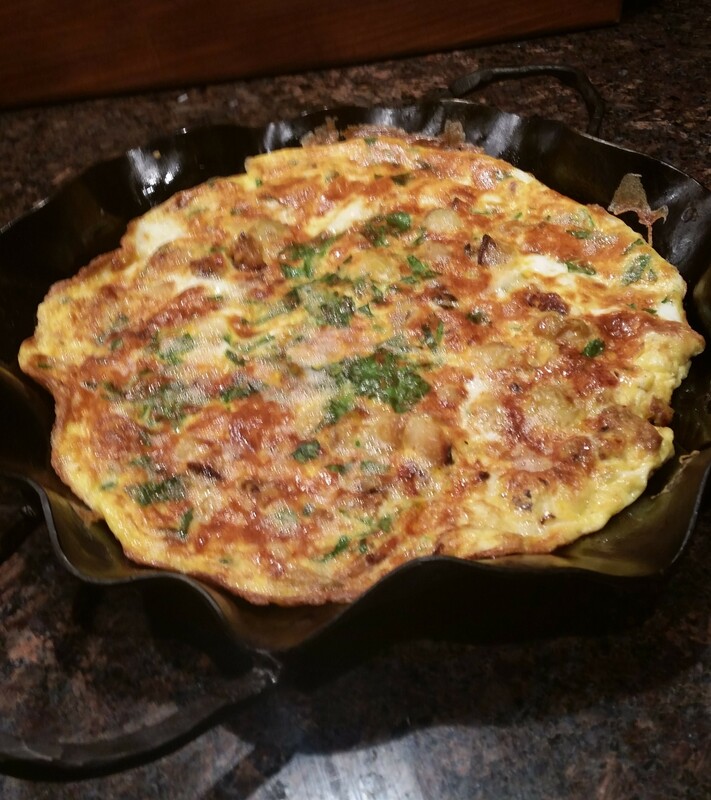 Our chef, Michele, was proud of this one – so simple and so good. Lightly sweat the garlic in oil. Add salt, black pepper and ½ of the parsley. Cut the whitings into 5 pieces each, including head and tail, add to pot and just cover with hot water. Remove the head and tail when they get soft. Continue simmering until the skin becomes loose enough to remove and you can lift out the spine and bones from the pieces of fish. Add more water if it gets too dry. Add the rest of the parsley just before serving. Put some bread or fruzalle in a bowl and cover with the fish broth. This is probably a very different version for most of you. It’s a ‘parmigiana’ recipe with just parmesan cheese, no mozzarella. You can substitute other vegetables or chicken or veal cutlets but no mozzarella. 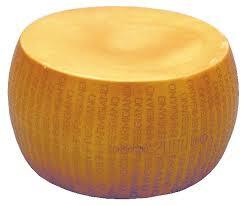 If you look up parmigiana, you’ll see it’s defined as “cooked with Parmesan cheese,” not mozzarella. Give our family recipe (written by my sister Nicki) a try. It’s light and fresh compared to the parmigiana al ‘Americana you get in most restaurants with that thick rubbery layer of mozzarella on top. Remove 3 or 4 strips of skin from the eggplants but leave enough to hold them together. Slice them into rounds and place the slices into a scolo pasta (colander) in layers, sprinkling kosher salt on each layer. Place a heavy plate and a 28 ounce can of tomatoes (you can use any kind of weight but what could be better than a can of tomatoes?) on top for weight and set the scolo pasta in the sink for about ½ hour. After the eggplants have drained, squeeze out the excess water and dredge the slices in the flour and salt and pepper mixture. Fry the slices in olive oil until browned on both sides. Drain on paper towels. Coat a baking dish (I prefer a high round dish) with a ladle-full of marinara sauce, then a layer of eggplant and a generous sprinkling of cheese topped with another ladle-full of sauce and some torn basil leaves. 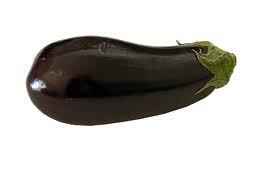 Repeat this process until you finish the eggplant. Bake in 350 degree oven for 30 – 45 minutes or until bubbly. Serve with a sprinkle of fresh basil. Note: Marinara Sauce – Not all Italian tomato sauce is Marinara sauce. 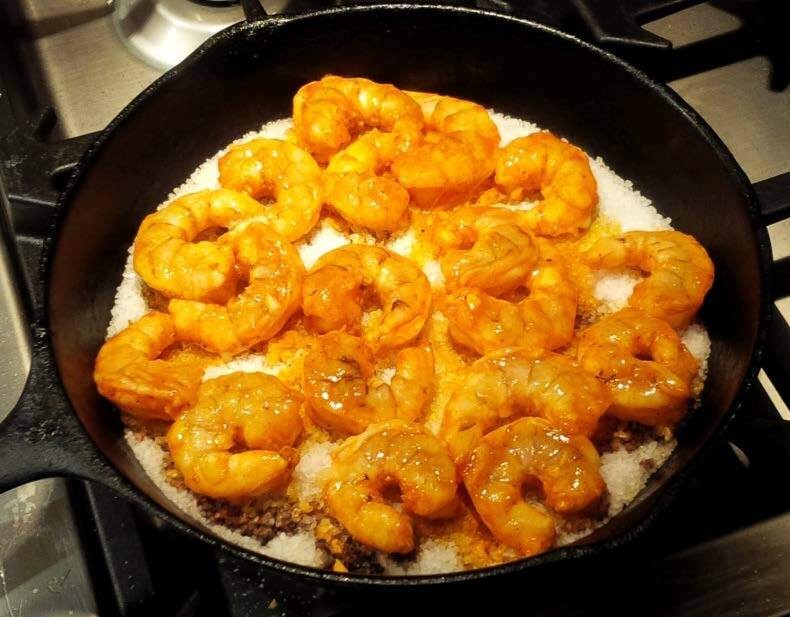 This 3 ingredient sauce (not counting salt and pepper) is simple enough to make on a small fishing boat, hence the name – mariner. This sauce has multiple uses: delicious with pasta (we used to have this meatless sauce when we were kids on Friday nights when meat was not an option), the perfect sauce for eggplant parmigiana, eggs in purgatory, etc. Lightly brown garlic in the olive oil. Add about a pound and a half of chopped fresh or one large can of crushed tomatoes (approx. 28 oz.). Add salt, black pepper and red pepper flakes. Simmer ½ hour on medium heat and it’s done. 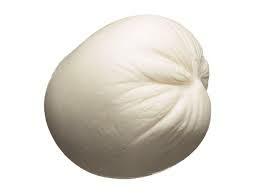 One last note – I have nothing against mozzarella. I love it fresh and cold, especially on a sandwich with ripe tomatoes and salt and pepper. I just think it’s been overused by cooks in Italian-American restaurants to the point where non-Italians think that’s the way all Italians eat. And it isn’t.